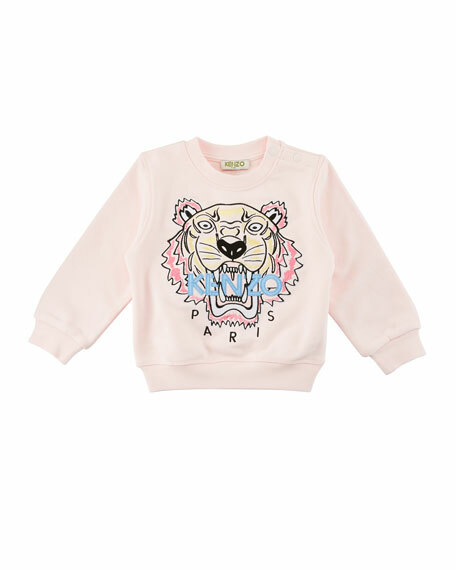 Kenzo sweater with signature tiger and logo embroidery at front. Ribbed crew neckline; snaps at left shoulder. For in-store inquiries, use sku #2476950.